Invented in 1907, Bakelite plastic was used to make a variety of objects such as kitchenware, telephones and radios. Bakelite buttons are collectible items not only because of their age, but because they often have unique patterns embossed in them. 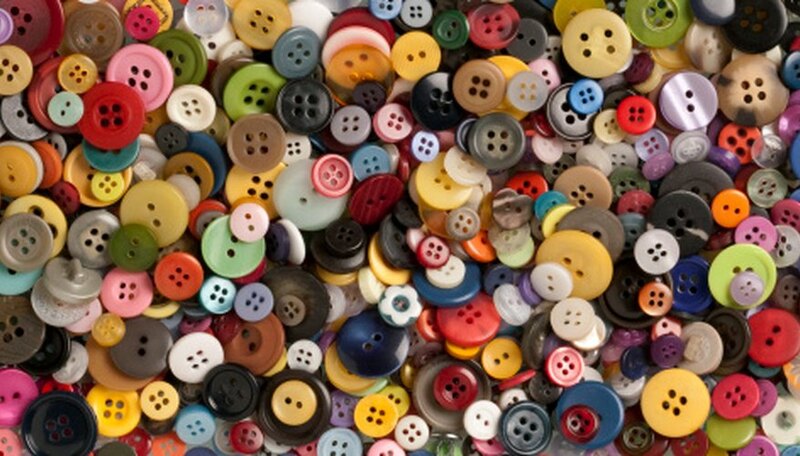 The buttons were popular in the 1930s and worn more for decoration than function. If you have a stash of buttons, sift through them to find potential Bakelite buttons then try a few tests to identify true Bakelite buttons. Sift through your buttons to find possible Bakelite buttons. Any buttons made of wood or metal are not Bakelite. Plastic buttons with unique patterns (such as flower designs) should be pulled out as potential Bakelites. Buttons in the shape of a flower or with a marbleized center are also candidates. Don't warm the button in hot water if it is embedded with rhinestones. They could fall off. Red or black Bakelite may not turn the swab yellow in the cleaner test. Perform the other two tests if you don't see the color change on the swab.